Cutera CoolGlide Nd:YAG Laser delivers 21st-century technology and is one of the few lasers FDA approved for permanent hair removal and skin rejuvenation. We have used Cutera lasers over the last 15 years because we have yet to find a laser that is more effective and has the ability to treat all skin tones and hair colours. The key benefit of the Nd:YAG laser technology is that the laser targets the growing hair (anagen phase) directly – bypassing the skin to prevent the hair follicle from producing a new hair, therefore significantly lowering the risk of skin burning. The IPL laser targets the skin first then the hair, reducing the effectiveness and often cause skin burns. The most common complaints we have in the industry today are clients complaining about the poor results and skin burns. Cutera Coolglide Nd:YAG Laser can safely treat skin type I-VI and is FDA approved. Laser treatment varies depending on the size and extent of the area being treated. Generally a full leg or back taking from 45 minutes to an hour with smaller areas such as underarm and upper lip done in a matter of minutes. If the laser is a medical grade laser that is FDA approved for permanent hair removal. Your hair is in the anagen hair growth stage, only 15% of hairs are in this stage at any one time, this is why multiple treatments are necessary. You missed the hair cycle and had your treatment too late. How does the hair cycle affect results? The Laser can only disable the hair follicle and permanently remove the hair when it is in the anagen hair growth cycle, therefore the treatment timings must be strictly adhered to. The hair growth cycle may vary in different people as some people may have hormonal imbalances where the hair growth is stimulated and can appear faster and thicker. What should I do if I can’t make my scheduled appointment at the correct time? 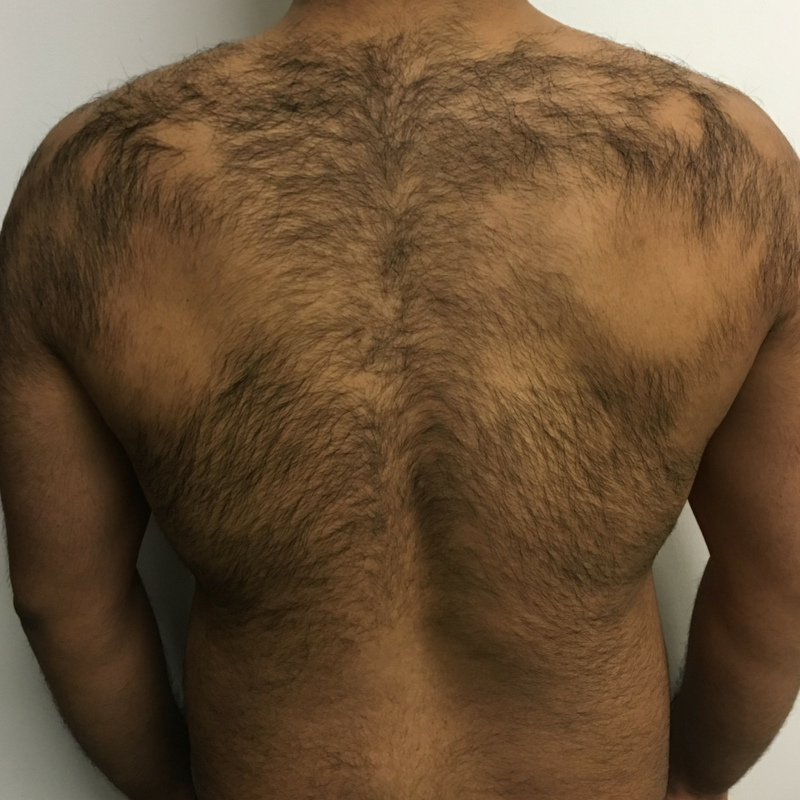 A few days before or after does not matter, however any longer and the hairs will grow out of the anagen stage and go into a resting phase and the laser treatment will not be as effective. We recommend that you start with a course of 6 treatments and then we can review your progress and assess if you need any more. The amount of treatments you will need may vary dependent on factors such as polycystic ovaries, pregnancy, steroids and genetic factors. Majority of IPL lasers’ can treat light skin and light hairs effectively. Many IPL lasers in the beauty salons are low energy lasers and treatments should be sold as hair maintenance, not permanent hair removal. IPL hair removal laser cannot treat dark skin III-VI, hence why there is much publicity about skin burns with IPL lasers. IPL lasers are very effective for skin type III on pigmentation and skin rejuvenation, where the skin burning action is required. Immediately following laser treatment, the area may appear a bit red and swollen but you will be able to return to your normal activities (no heat related activities). After 7 days, you may experience what seems to be ‘regrowth’ of hair but most of these hairs are the lasered hairs that are shedding as a result of your treatment and are not new hairs growing. 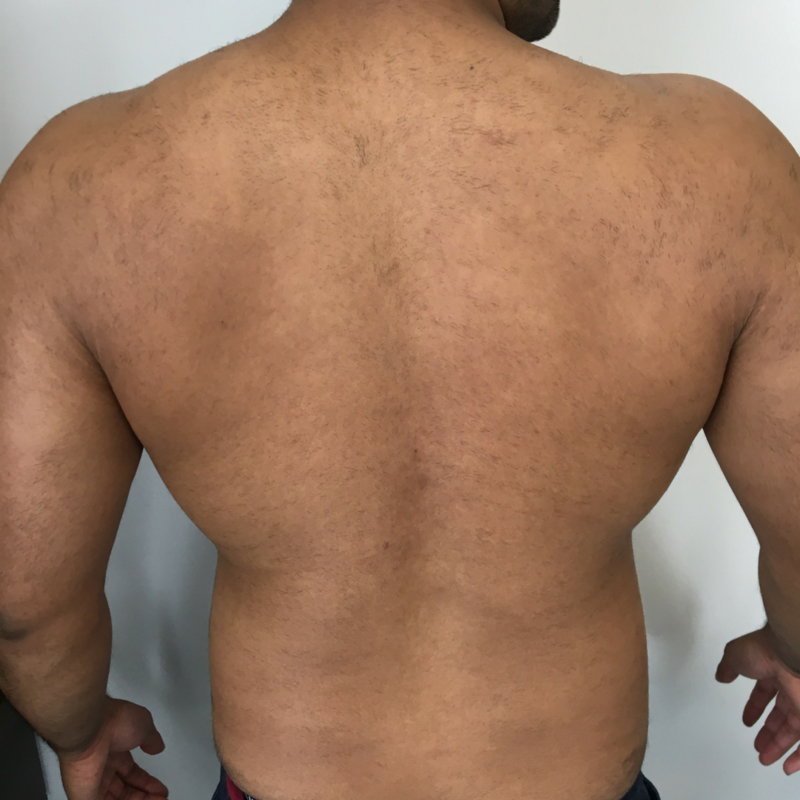 What should I do between laser treatments? You can shave or cut the hairs however, you should not wax or pluck your hairs, stimulating the hairs will work against the laser treatment which is trying to disable the follicle from producing a new hair. What are the possible side effects and risks of having a laser treatment? The most common side effects are slight reddening, local swelling of the skin, similar to sunburn for a few hours. The risks with the Cutera laser are minimal due to the laser technology and also down to the fact that our therapists follow the correct protocol. In our opinion the side effects and poor results are usually down to incorrect laser settings or incorrect skin typing. Barnet council have graded Revival as a low risk clinic for the last 12 years and this is due to our highly skilled therapists who have many years’ experience operating laser machines. Can people with dark or light skin tones be treated with the Cutera CoolGlide laser? Yes, the Cutera CoolGlide’s outstanding technology was designed for all skin types from light to dark skins. Does a laser treatment hurt? Generally the Nd:YAG laser is bearable but can be slightly painful over sensitive areas for example bikini, top lip or bony areas e.g. fingers. The thicker hair and darker skin can be more painful but the results are remarkable on this combination. What is the recommended advice after laser treatment? Advice applies specifically to the laser treated area. Keep all treated areas clean and apply aloe gel and cold compresses if hot and sensitive immediately after the treatment. What happens if I go out in the sun after my laser treatment? Nd:YAG lasers don’t target the skin like IPL lasers, that is why you can go in the sun after the treatment, as long as you wear a sunblock. If your skin was reactive after the treatment avoid heat exposure for 72 hours to calm it. Does laser treatment help ingrown hairs around my bikini area? Laser is the only method of hair removal that helps ingrown bikini hairs, as the laser beam is attracted to the melanin in the hair and therefore treats the hair inside the follicle and also loosens the dead skin allowing the hair to ease out. How often should I come for my laser treatment? If I have had a patch test with another clinic, are you still required to have a patch test? Yes, firstly our insurance requires us to patch test all out clients on their first treatment and secondly the patch test is a safety test for us to determine the settings for our laser machine and evaluate your skin’s suitability. You may have to wait 72 hours after the patch test to have your treatment.